Providing Quality Notary Services for Over 15 Years. Notary on the way is a division of Notaries247.com and we have been in the Notary business for over 15 years. We are bonded and insured to provide you with the highest quality service. Our Notary services are available NATIONWIDE for both individuals and businesses We will come to you to provide Notary services in your home, office, business, realtor, school, hospital, senior care facility, jail, courthouse, law office and or any location you wish 24 hours a day, 365 days a year. Just call Notary On The Way and we will be there with our affordable Notary service. We pride ourselves on the best customer service in the Notary industry. Our clients come first…We know you are busy handling things that come up, so we will travel to you. Our notary signing document process is fast, easy and affordable. Simply call 888.884.8874 to request immediate notary services or click the button below to schedule a notary on a specific day and time. Reliability: All of our notary data is backed up by the hour, week and month. In addition to these backups, we have redundant servers placed around the country, so that even if there were a natural disaster on the entire west coast, our site would remain active and secure. We are one of the few companies in the industry with this level of reliability. Accountability: We offer a new level of accountability for all employees and signing agents. Every action involved in managing the notary signing is tracked and logged, giving us a complete historical record of every file that goes through our system. These notary records are saved and can be viewed at any time. Notary Signing Service Agents Records: We keep detailed records of work history and notes on all of our signing agents. In addition, we require our notaries to take a test to assure that they are knowledgeable in every aspect of the document signing process. 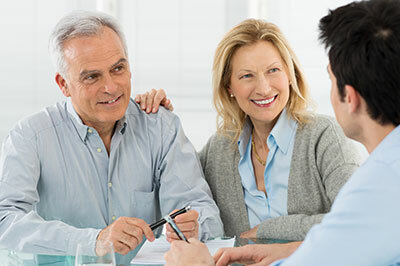 With all these signing agent statistics, it makes it much easier to schedule professional, experienced and qualified notaries for all your needs, whether it be a refinance, purchase, reverse mortgage, last will and testament and much more. Security and Compliance: We upload all closing documents to our secure cloud servers. We only allow the notary access to print the documents for a limited period of time, and we track and record all interaction with the documents in our order history feature. Once the signing has been completed, all access to the documents is removed. We work as a single united team with experienced notary agents across the US to provide our clients the highest quality service possible.